“A high level of confidence in the supply chain leads to success”. To achieve this confidence companies must develop strategies that are congruent with their business goals. Lack of confidence has become one of the main challenges faced by supply chain practitioners and leading supply chain managers are increasingly aware that supply chain management is not just about reducing costs, but more importantly is about enhancing overall performance (Christopher, Martin and Lee, Hau L, 2001). Confidence is identified as one of the key enablers to improve supply chain overall performance; however, not in-depth research has been conducted in this field yet. Supply Chain confidence has been rarely an explored area. Existing studies on this area focuses on the relationship between related variables and the level of confidence; therefore, there is a lack of empirical studies that examine the relationship between confidence and performance within Supply Chain Management Systems. Hence, metrics that measures the level of supply chain confidence are uncommon. The need to measure the confidence within an organization is of the essence, as it may affect the decision-making process consequently lessen supply chain overall performance.As a result, this research is aimed at comprehending on what basis confidence is built within a supply chain system, the role it plays within it as well as establishing the impact that confidence brings into the strategic decision-making process and the supply chain overall performance. This research also provides an in-depth SC Confidence Framework including five sources, which companies must address in order to gain confidence within their supply chain management systems: visibility, collaboration, compliance, maturity and risk.The research borrows and adjusts the concept of confidence from Cofta (1994). As it applies to SCMS, Confidence in the supply chain reflects an overall perception expressed by a leader of one of the components of the supply chain. This overall perception relates to the belief that at each stage of the chain, her/his partners will act in the best way possible. As a part of the requirements for completing my Post-Graduate Certificate in Electronic Business Technologies, I had to write a research project. The topic that I chose was how to measure the confidence factor in supply chain management system. My theory “Even thought Confidence is a perceptible variable, supply chain practitioners can develop metrics to measure the level of confidence, hence the overall performance within the supply chain.I just want to share some of my findings with you! Leads to corporate risk since an inability to focus on the identification and management of SC priority areas prevents the company from pursuing an opportunity oriented decision-making strategy. Hinders companies to distribute data in a timely and accurate manner, which compromise data integrity. Leads to an iniquitous budget allocation due to mismanaged information, poor communication and collaboration among business units as well as inaccurate forecasting. 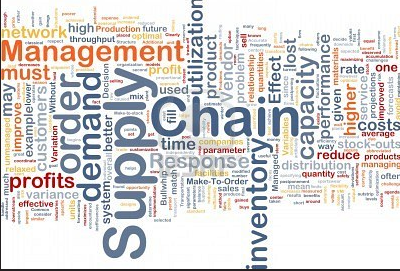 Causes an inability to detect stock-out conditions and errors, inability to integrate demand and replenishment planning processes, inefficient allocation of resources, increment of inventory holding, lengthy lead times, which directly affect inventory in transit and at distribution centers/hubs. Confidence is a critical modifier in influencing supply chain performance. Gaining confidence in the supply chain allows an organization to meet its core business by making the right decisions, at the right moment. Supply chain confidence enhances the decision-making process by providing organizations with the ability to select trustworthy supply chain trading partners and engaging them in collaborative efforts. Confidence also boosts customer value since it leverages organizations to meet customer demands in regards to the flow of product and information throughout their entire demand/supply chain. Benefits of having confidence within the Supply Chain System are diverse. Confidence enables companies to attain a high degree of readiness when unforeseen events arise due to the ability to plan and forecast proactively. Confidence also encourages companies to have and reach higher expectations. Confident business tend to set goals and face challenges in which there is quite a high degree of uncertainty with reference to the outcome and pursue them with more dynamism. Confidence grants companies capabilities that enable them to allocate their resources in a more cost-efficient and cost-effective manner. Having in place a framework that manages, measures and tracks confidence within the SCS enables supply chain practitioners to seize and comprehend the implications of confidence within the supply chain overall performance. Metrics developed enable organizations to measure how confident they are, how supply chain customers perceive them, and therefore take responsive/corrective or preventative actions to build a cost efficient and effective SC that ensures successful commercialization in local and international landscapes. Based on Cofta’s model of confidence, my research attempts to explore the relationship between confidence, trust and control. This study proposes visibility, collaboration, compliance, maturity and risk as the key sources which confidence relies on within a SCMS. In addition, the framework focuses on how to enhance the strategic decision-making process in order to reduce uncertainty and doubt hence improve supply chain overall performance.